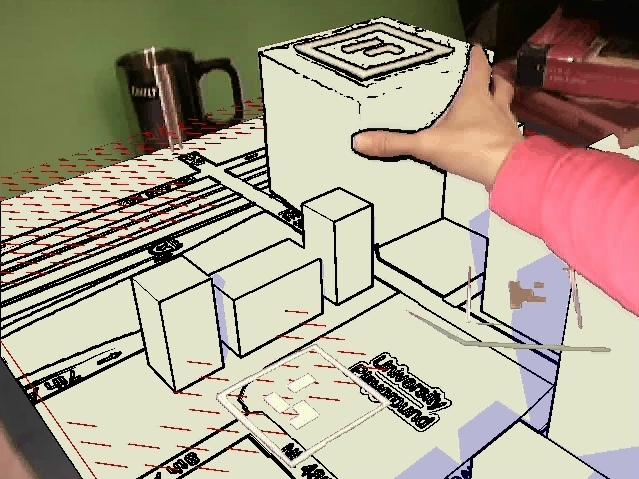 In tangible user interfaces, physical props are used for direct interaction with a computer system. 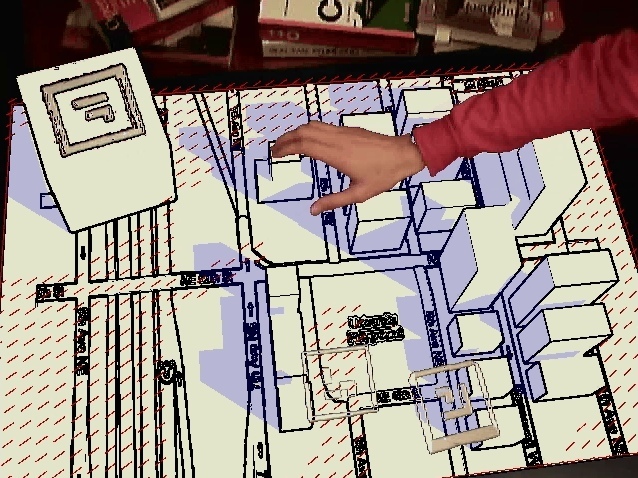 Tangible interaction applications often use augmented reality display techniques in order to overlay virtual graphical objects over the interaction area. 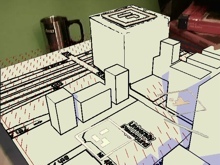 This typically leads to the problem that the virtual augmentations have a distinct, simple computer-generated look, which makes them easily distinguishable from the real environment and physical props. 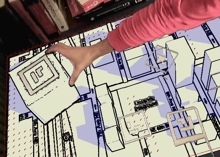 Here, we present a new style of tangible interaction, which seamlessly combines real objects and graphical models. In the tangible user interaction zone of our system, physical objects and virtual models are displayed in the same technical illustration style. 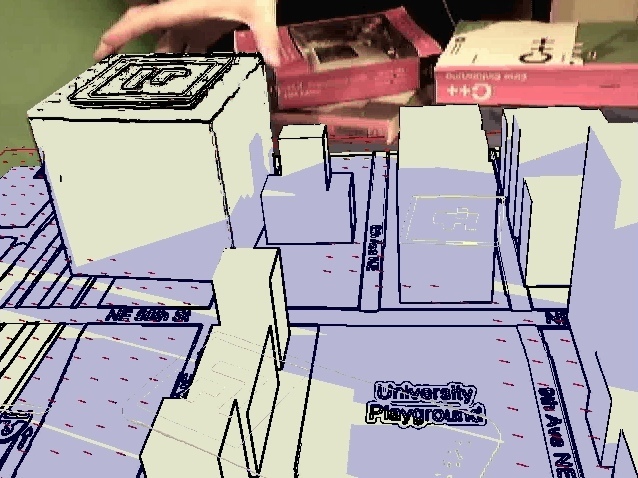 Regions outside of the interaction zone, and also the user’s hands, are shown unaltered in order to maintain an unmodified visual feedback in these areas. 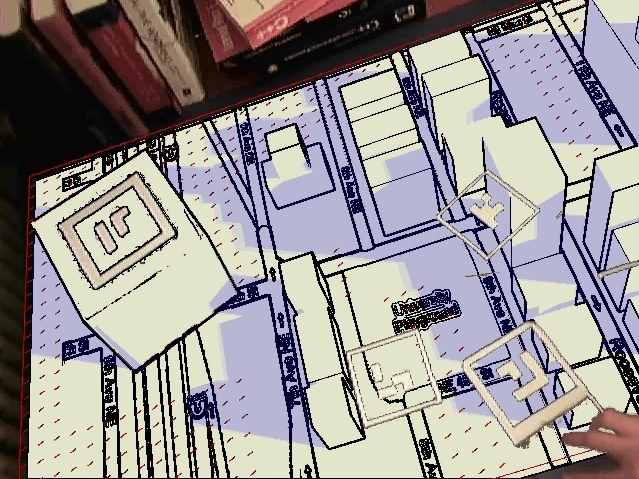 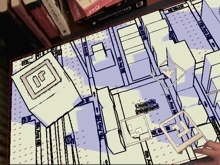 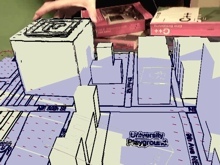 Our example application is a tangible urban planning environment, in which the placement of both real and virtual building models affects the flow of wind and the casting of shadows. 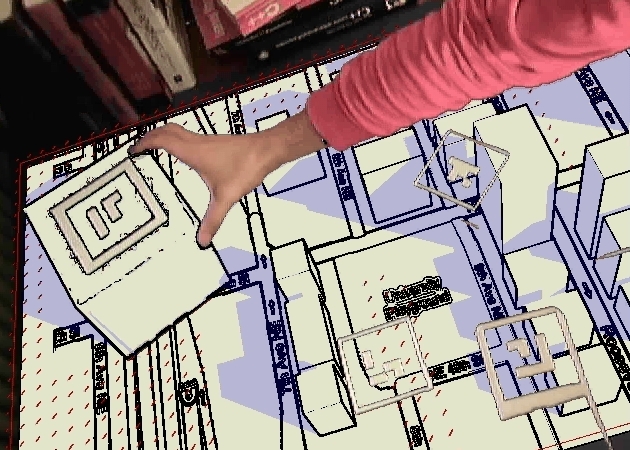 We describe the real-time rendering pipeline which generates the selectively stylized output images in the tangible interaction system and discuss the functionality of the urban planning application.